Note: the following contains links to government websites. Medicare is our Nation’s basic health insurance program for people 65 and older, regardless of their income, who qualify for Social Security benefits, and for some people under 65 who are disabled. Note: when you reach your 65th birthday, be sure to enroll in Medicare as a delay means your costs will go up. For eligibility determination and enrollment into Medicare: use the Medicare Eligibility Tool: https://www.medicare.gov/eligibilitypremiumcalc/ OR the Social Security Administration website provides you with a benefit eligiblity screening tool at http://best.ssa.gov/. Hospital Insurance (Part A) helps pay for inpatient hospital care and certain follow-up services; Medical Supplemental Insurance (Part B) helps pay for doctors’ services, outpatient hospital care and other medical services; Medicare Advantage (Part C) offers private HMO Medicare service plans; and Prescription Drug Benefits is under (Part D). (Home health care in Medicare) Under certain qualifying conditions both Medicare and Medicaid will pay for some health care services provided in the home. Home health care is provided by agencies which specialize in delivering skilled nursing services and other therapeutic services such as physical therapy in private homes. Home health care and many other health services and equipment/supplies which are not covered by Medicare hospital insurance (Part A), ex. preventative services (shots, screening tests, blood tests, etc.). Medicare Advantage (Part C) health care options are HMOs and fee-for-service plans. In Hawaii Kaiser and HMSA provide this option. Part C is often the least costly for beneficiaries and provides more choices or coverage. To join a Medicare Advantage Plan, you must have Medicare Part A and B.
Medicare Prescription Drug Benefits (Part D) goes into effect January 1, 2006. Note: HMSA has a site for their 65C Plus (Medicare Advantage Plan – Part C) Approved Drug Discount Program. Kaiser has a site for their Medicare Drug Benefits. For more detailed information about what is covered in Medicare benefits for the original (Original Medicare Plan) and other Medicare programs, link to the on-line Adobe PDF “Your Medicare Benefits” document or you can compare Medicare health plan options by visiting the Medicare Personal Plan Finder. For more information on home care services under Medicare, contact your local or area office of the Social Security Administration by calling 1-800-772-1213. If you don’t know where your closest local office is, click onhttps://ssa.gov and enter your zip code. Note: View a Kaisernetwork.org webcast on Medicare Drug Law dated January 29, 2005. Medigap Plans are private insurance plans designed to bridge the “gaps” in coverage between insurance plans. If you are dual-eligible for Medicaid and Medicare, you don’t need Medigap plans. Note: Disbled people applying for Medicare must qualify for SSDI cash benefits, wait five months before benefits start and two additional years before being eligible for Medicare. Link to Kaisernetwork.org webcast dated October 18, 2004. Medicaid pays for medical care and services for individuals and families with very limited assets and income who cannot afford to pay all of their medical bills. It is especially valuable to older people (age 65 or older) with serious, recurring health problems who cannot meet all of their medical expenses from Medicare alone as well as those who are certified blind or disabled. A person may be eligible for partial assistance or for complete medical coverage depending upon monthly income and assets. Effective 1999, a provision was added to include blind or disabled pregnant women and children (under nineteen-years old) born after September 30, 1983. Coverage is provided under Hawaii’s Fee-For-Service Medicaid Program where doctors or other health care providers are paid directly for their services. When seeking services, find out if the agency accepts Medicaid payments. If not, the patient will be responsible for the bill. Medicaid does not reimburse the client. In Hawaii, Medicaid can pay for certain medically necessary services and items.General listing: Medicaid benefit coverage. To apply for Medicaid, call your closest Med-Quest Office to ask that an application form be mailed to you or you can download that form (DHS 1100). To fill in the form you will need to gather background information on your income and assets and fill in your Social Security number. Be prepared to show your birth certificate to the office at a subsequent interview. At that appointment, request current free publications describing Medicaid eligibility and services for your reference. For additional information about Medicaid programs, contact Hawaii’s Medicaid and MedQuest offices nearest you. The Medicaid Quest Program is administered by the Department of Human Services. It provides health coverage through health plans from HMSA, Kaiser and Aloha Care, for eligible Hawaii residents who have difficulty getting a traditional health plan. A description of the program, services covered, phone contacts and such are provided at: http://humanservices.hawaii.gov. Their website is:http://www.med-quest.us/. You can download the application form from the Quest website athttp://www.med-quest.us/ or call your yourclosest local office for an application form to be mailed to you. For additional information about MedQuest, contact your closest Medicaid and MedQuest office. Note: Med-QUEST is no longer requiring an original signed medical assistance application when the application is faxed. Eligibility branches can accept faxed and electronic signatures. (Reported by the Legal Aid Society, July 22, 2003). If you are seeking long-term care or home care services under Medicaid, certain medical and financial eligibility criteria must be met. Provided on a long-term basis (more than 30 consecutive days), it is designed to assist people with chronic debilitating health conditions.This service and eligibility requirements are mentioned at: http://www.med-quest.us/. For an application form, local office addresses and contact numbers:http://www.med-quest.us/. For a copy of the Medical Assistance Renewal Form: http://www.med-quest.us/. For additional information about Medicaid Long-term Care, contact your closestMedicaid and MedQuest office. 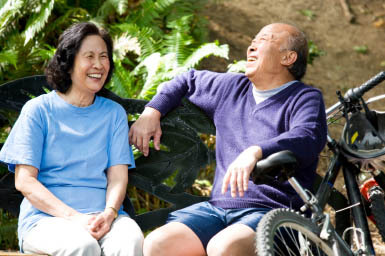 Medical coverage is provided for lower-income Hawaii residents. For eligibility requirements and the types of services offered in this program: http://www.med-quest.us/. Another site you can visit is:http://humanservices.hawaii.gov/mqd/ffs-pregnant-women/. Ask that Form DHS 1109: Confirmation of Pregnancy Form, as well as Form DHS 1100: Medical Assistance Application be sent to you. DHS 1100 is also available on-line at http://www.med-quest.us/. After completing the form, contact the closest local office from the listing provided on the back of the form. For additional information about Medicaid care for pregnant women, contact your closest Medicaid and MedQuest office. Note: Effective September 2003, the Centers for Medicare and Medicaid Services allows states to accept self-declaration of pregnancy. A YES/NO question is now on Med-QUEST’s application to eliminate the medical verification barrier for eligible pregnant women. (Reported by Legal Aid Society of Hawaii, December 23, 2003). A Medicaid waiver is when the Federal Government allows or grants States permission to waive certain federal requirements in order to operate a specific kind of waiver program for those who are in medical need or severely disabled (http://cms.hhs.gov/). President Bush spearheaded the “New Freedom Initiative” to advance the cause of self-determination for these programs (https://www.cms.gov/Outreach-and-Education/Outreach/OpenDoorForums/Downloads/New-Freedom-Initiative42606.pdf) and “Independence Plus” (https://www.cms.gov/Newsroom/MediaReleaseDatabase/Press-releases/2004-Press-releases-items/2004-08-172.html) serves as the template by which individuals and their families are directing how they want to live their lives. Hawaii’s Medicaid Home and Community waiver programs are administered by the Department of Human Services, Adult and Community Care Services Branch. 810 Richards Street, Suite 400, Honolulu, HI. 96813. Phone: 586-5560 (V); 586-5700 (Fax). For a description and information on eligibility requirements for each home and community–based program and their respective phone contacts http://humanservices.hawaii.gov/overview/. Children and youth under 19 years old, who are legal immigrants can apply for free health insurance through the State’s Quest and Medicaid programs. Eligibility is based on family size and income. Services include: regular checkups, doctor visits, emergency care, eyeglasses, immunizations, counseling, prescription medicines and dental care. Applying for Quest and Medicaid will not affect their immigration status. Visit their website for further information and application forms. or you can contact the program at (808) 692-7481 (Oahu); Fax (808) 692-7478 (Oahu) or email: ktkitaga@health.state.hi.us. AlohaMeds.org is a program that connects qualified, low-income Hawaii residents with discount prescription drugs, direct from the pharmaceutical manufacturer. Click on this link to access this site. Under the Department of Human Services (DHS), this program is a precription drugs assistance program. It is designed to provide reduced costing drugs to residents of the State of Hawaii who have a family income equal to or less than 350 percent of the Federal Poverty Level (FPL), who lack prescription drug coverage, and who enroll in the Hawaii Rx Plus program. Link to their website for a description of their program, download their application forms and view local pharmacists particpating in this program. For other medical assistance options in our community, you can contact the Legal Aid Society of Hawaii at 536-4302 (Oahu), 244-3731 (Maui), 961-2851/329-3910 (Island of Hawaii) or visit their website.